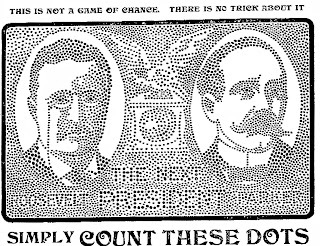 Mostly Paper Dolls: The Next President - ROOSEVELT or PARKER? The Next President - ROOSEVELT or PARKER? October 18, 1904. "This is not a game of chance. There is no trick about it. Simply Count These Dots." 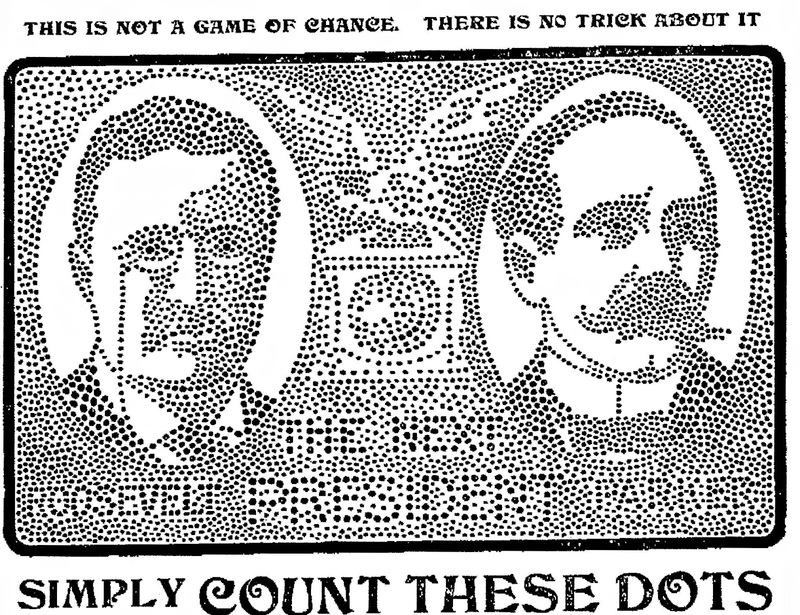 A count the dots contest that featured the two presidential candidates for the year 1904, Theodore Roosevelt and Alton B. Parker. I Like!!! BOYS Can Draw Paper Dolls Too!